Thursday, March 16 from 6-8PM is TVA's annual Open House! Current students, prospective students, friends family, alumni and anyone else who wants to come are welcome! Come see what our students have been up to this year, and come see what TVA is all about! On Friday, March 17 TVA is hosting Academy Day from 8:30AM-12:30PM! Students and parents of students who will be entering grades 9 and 10 next year are welcome to come see what our high school program is all about. Students will experience a student-led Chapel, a school tour and art show, bell choir, our STEAM program, publications, math problem solving and science experiments. Lunch will be provided. Financial aid options are available. Ask about them while you visit with us! Call the school at (503)649-5518 or email tvja@tvja.org to RSVP. We hope to see you there! TVA is selling Eagle hoodies! Students and parents are welcome to purchase hoodies, and you can choose to have your name embroidered on the back for free. Order forms should be turned into the office with a payment of $22.00 by Friday, March 3rd at 2:00 PM. Hoodies will arrive after Spring Break. To print an order form, click here. Please complete a separate order form for each person. Thank you for supporting TVA Athletics! Don't forget that tomorrow, March 3rd we will be taking a school wide picture for the celebration of TVA's 100 years. Please make sure your child wears a navy blue shirt that day. I would like to invite our TVA families to this school year's first piano recital that will be held on Sunday, March 5th in the school's spynergy room at 4:00 pm. Come and see TVA's students give their performance. Art Smart needs CDs for their next art project. If you have any CDs you would like to get ride of, please drop them off at the front office no later than Friday, March 3rd. Tuesday-Sail the high seas with a sugar high. 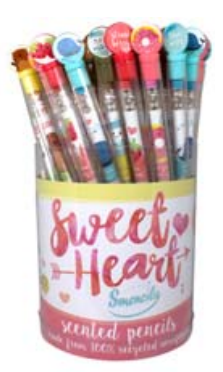 Give your teacher/staff a sweet treat! Wednesday-Navigating the high seas, teachers/staff get thirsty. Give them their favorite beverage! Thursday-Use a life preserver. 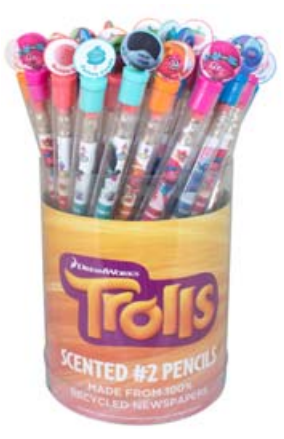 Give your teacher/staff their favorite treat! Friday- Our teachers/staff are the beacons of knowledge. Give them a book! We also need volunteers to supervise classrooms and recess on Thursday, during the Teacher/Staff Luncheon 11am-12noon. Please check with Monica at front office to make sure you have a current background check on file. Please help us make this week extra special for our teachers and staff that make a difference in our children's lives! Our teachers and staff work hard to ensure the students have an amazing education. Open House is an exciting time in the library. Why you ask? It's an opportunity to showcase all our fantastic readers! This year we'll be displaying student book reports throughout the library. Book report forms are available at school in the library and were emailed with the Thursday note. You'll find two book report forms; one for grades PreK through 2nd and the other for grades 3-6. For grades PreK through 2nd, students may pic whichever book they would like and answer the questions. (Parents may write for children who need help in PreK and Kinder) For grades 3-6, students must pick a book of their choice in their reading level and answer the questions. Book reports are due to the library by March 13th by end of school day. Each student that turns in a book report will find their awesome work on display at Open House. There is even a reward for the hard work! After Spring Break, students in grades PreK through 4 will be able to pick a free book to take home. 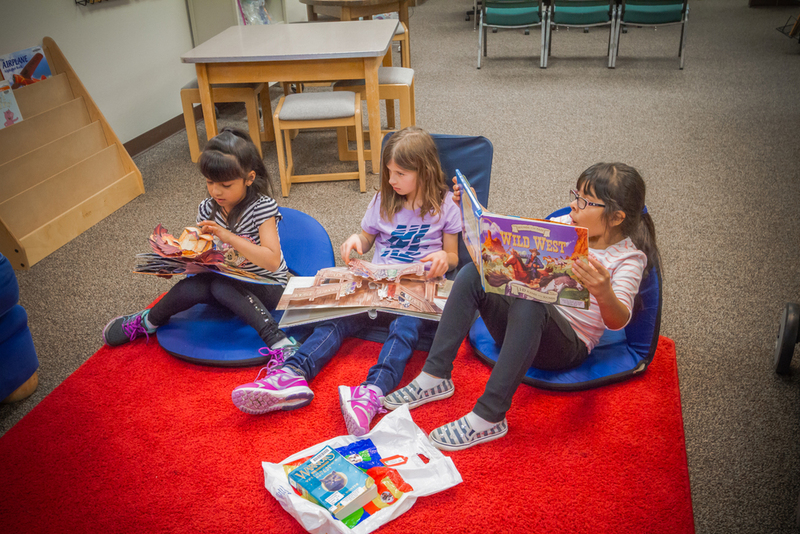 Students in grades 5-6 will receive a Scholastic Book Certificate food for the free book of their choice through their classroom Scholastic Book Orders. As always, contact me at library@tvja.org with questions. We're getting towards the end of the school year and for some of us, it's hard to get those last few service hours in. We would like to offer you the chance to volunteer for specific activities towards your service hours. Many can be done on weekends or in the evening. Please email Home and School at hands@tvja.org if you're interested in helping with any of our current projects. Project options include putting messages on TVA's marquee, writing grants, photography at school events, writing articles for the Gleaner and much more! Please note that Jump Rope for Heart has been moved to March 17th. February is American Heart Month and TVA's Kindergarten to 6th grade students participate by fundraising for the American Heart Association through Jump Rope for Heart. Students practice healthy exercise habits and learn a little bit about how the heart works while helping raise funds to help kids with specials hearts. If you would like to donate to this cause, please let a TVA student know. 1. There will be school on March 30th & 31st. 5. June 14th will be the last day of school and is a minimum day. Thank you for your patience as we've figured out how to deal with all the snows days this year! TVA t-shirts and mugs are for sale in the school office! Show your Eagle pride with one of our t-shirts, long sleeve shirts and/or coffee mugs. Cost is $6.00 each. We have youth small, medium and large. We also have adult small, medium, large and extra large. Remember, Spirit Day is every Thursday so make sure ou wear your TVA shirt on Thursdays! 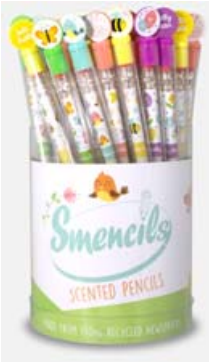 We have new SMENCILS at the front office for $1.00 each or 5 for $4.00!